Stunning Red Magma Swarovski crystal stone is held tightly in an antique brass filigree as the centerpiece. 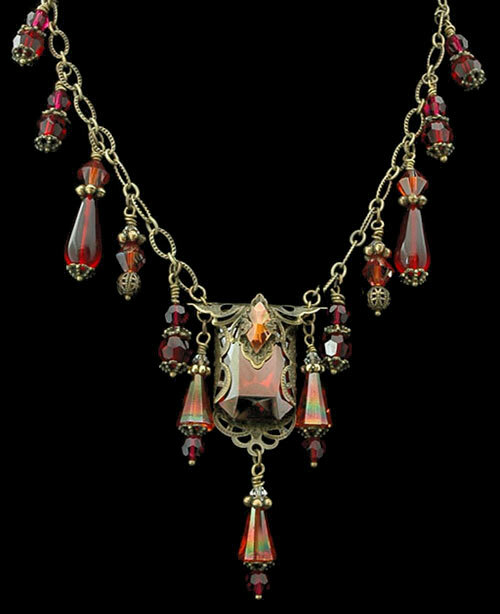 The antique brass etched chain is embellished with Siam and Red Magma Swarovski crystal beads, Red Flame glass drops and antiqued brass filigree beads. 14” chain.